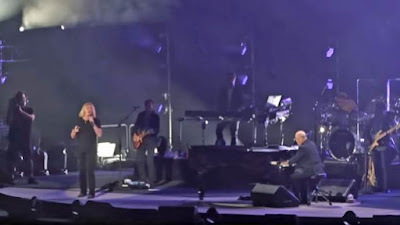 Def Leppard frontman Joe Elliott joined Billy Joel for the UK band’s 1987 smash, “Pour Some Sugar On Me”, during the piano man’s August 10 show at Boston’s Fenway Park. Def Leppard are currently playing co-headline dates on a North American tour with Journey. Last month, the group issued a cover of the 1989 Depeche Mode classic, “Personal Jesus”, as one of two songs recorded for the “Spotify Singles” series, alongside their 1987 smash, “Hysteria”, from a May 16 session at the streaming service’s studios in New York.